Seminar Opening will be released at a later time. Being re-edited. the most common mistakes made by us all and to learn from them. ***Also offered is a downloadable PDF of the transciption of the seminar for those who have purchased/or are an active subscriber. 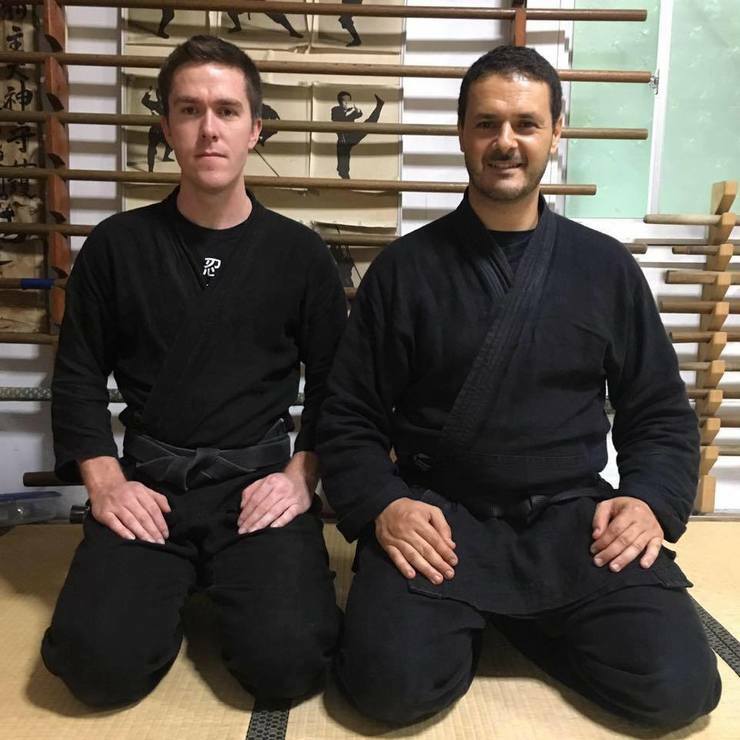 The theme of this seminar is to study the way, forms, strike and the various foot work of the kukishinden-ryū from the primary technique of the first level, Seion (生音), Yume-otoshi (夢落), Suiyoku (水翼). The focus here, as usual, is to stick cleverly to the densho's description and understand the flow and the bio-mechanics of each waza in order to measure the nature of the daken taijutsu used in close range with a armor. In this seminar the weapon presented are the bōjutsu from kukushindenryu, mainly the part from the densho call bojutsu Kihon gata which deals with the following technic: jōdan ukemi (上段受身), ashi-barai (足払), shihō bōfuri-gata (四方棒振型) and men uchi gata (面撃型). The focus here is first how to use the right and correct kamae, then the right angle for jōdan ukemi, finally the right order for men uchigata. The kenjutsu technic are mainly the basic from the gyokko ryu Tōhō (玉虎流刀法) the focus on the main ukemi call jōdan uke tome (上段受止). L'île lax aussi in the practice of the weapon, the way to hold, tori-kata (捕り型) and nigiri-kata (握り型) is important.